The two-time Origins Award nominated multi-genre Japanese anime RPG is now available in a more compact Revised Second Edition format! BESM is inspired by the dynamic settings and stories found in a wide range of anime shows, allowing players to create characters from any genre or sub-genre. Comedy or horror, fantasy or science-fiction, mecha action or passionate romance...if you can image it, you can play it. 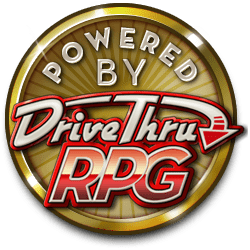 The game features an updated version of the popular and easy-to-learn Tri-Stat System(d6) rule mechanics, which includes expanded sections on magic, mecha, supernatural abilities, skills, and much more. The revised version of BESM Second Edition contains minimal changes in textual content. Some rules additions and corrections were made as well as substantial layout changes (which only changes the presentation of the book, not the content). Darn nice gaming system. 2nd Edition is my favorite of the three. Space Fantasy and Dungeon are really fun additions.